The cathedral was built on the 60x60 residential lot in Sunset Valley that has a Beautiful Vista buff, but I rezoned it to community. 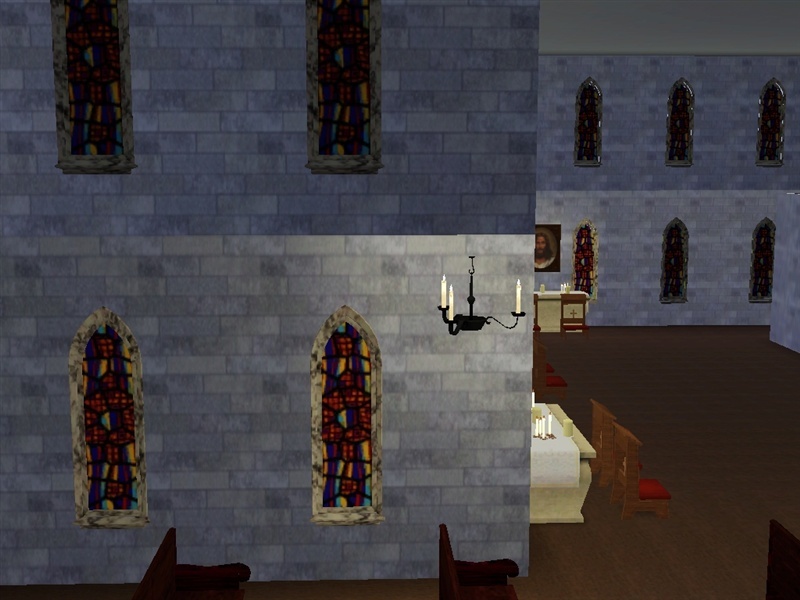 There is a minor issue with the lighting: The building is two stories high, and the chandeliers are one story. So they float. 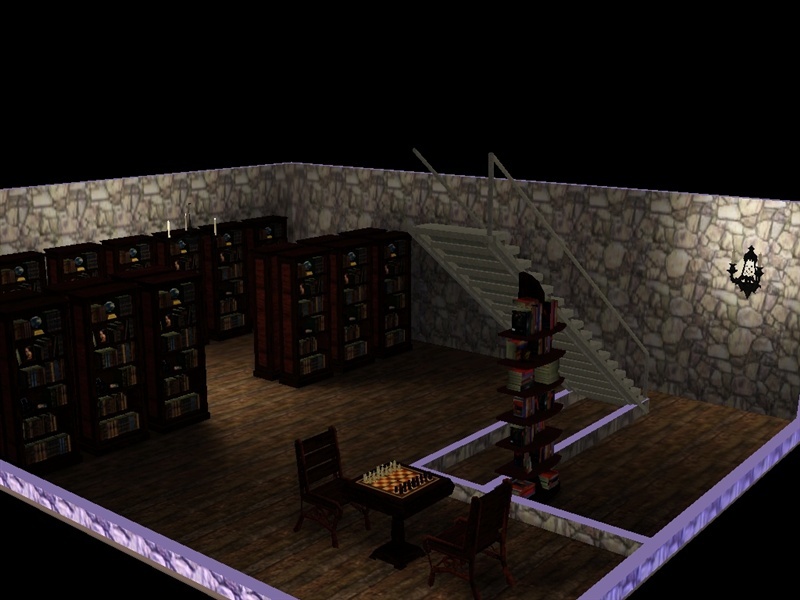 Putting them on the upper level meant that the first level remains dark. The "Necessary" flushes and has two sinks rather than a large wooden bowl and a pitcher. My pantry shelves look a lot like wooden refrigerators, and my gargoyles look like cowplant statues on cubes. 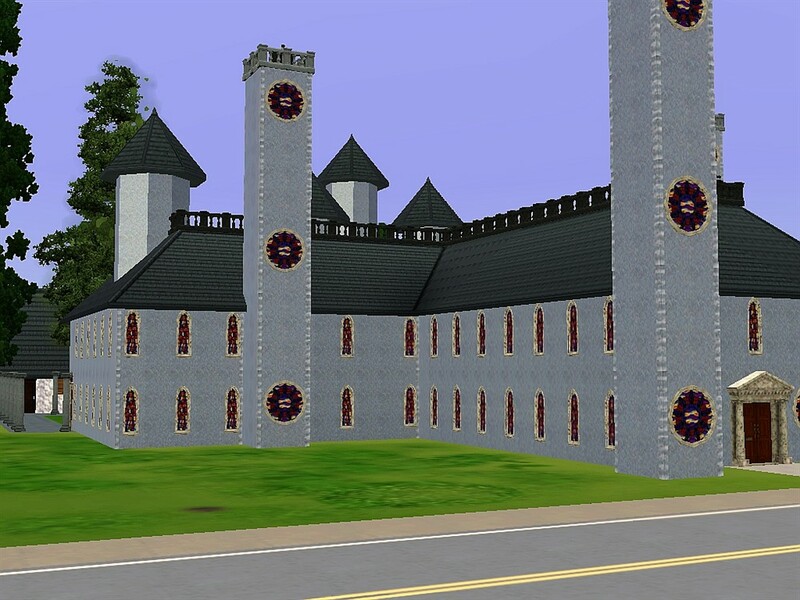 The priests cells are at the top left, the "necessary" is next to them, and the arch-priest's quarters, the kitchen, and the chapter house are on the top right. 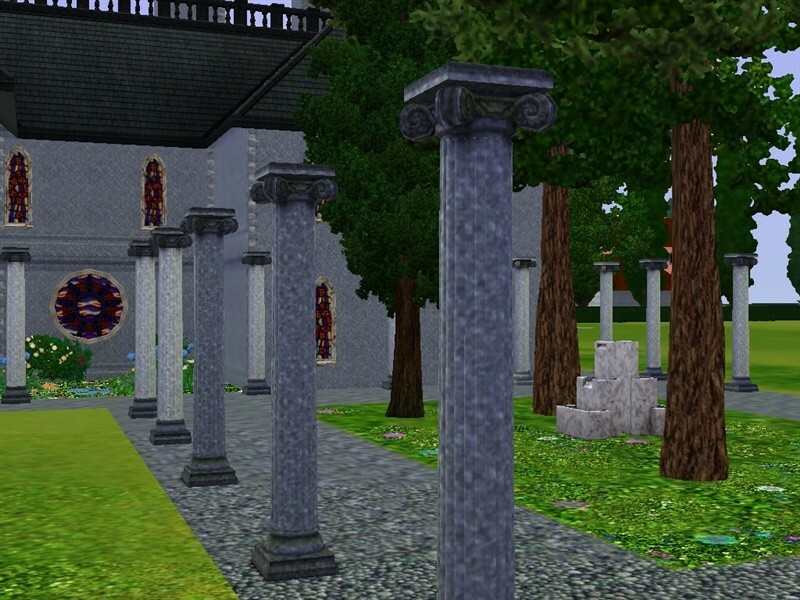 I didn't put a wall around the complex because it would make gameplay too annoying, and I decided that the chapter house could double as a refectory for similar reasons. There is no stove because I couldn't find a grill that looked right and would work indoors without burning the house down. Currently there are two sinks in the bathroom. 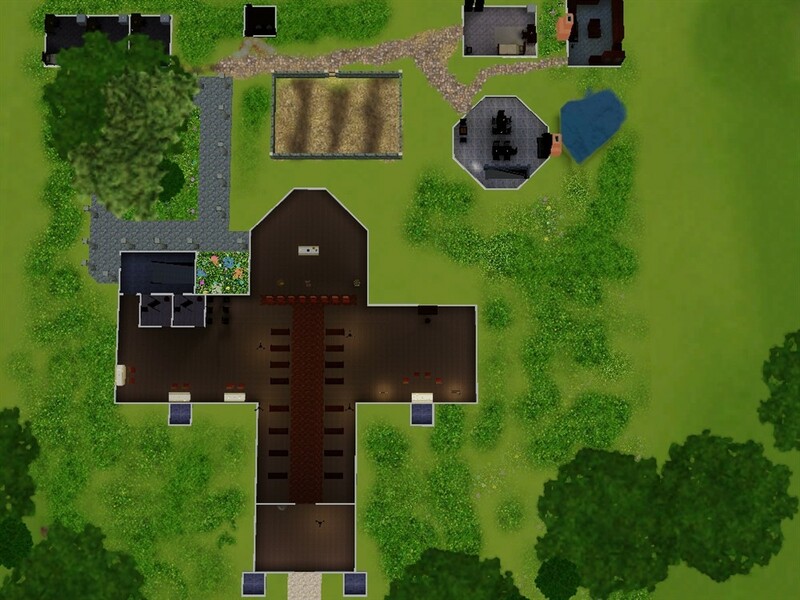 If you can get a sim who is allowed sponge bathing (through personality or with a hack) (or can find a proper looking tub) and can manage the stove issue it should be fairly manageable as a residential lot if you wanted to play a priest, although bills will be astronomical. If you are interested in seeing larger versions of any of the pictures in the collage (or a couple that missed being in the collage), they are hosted at Image Shack. I originally had them as clickable thumbnails, without realizing that for downloads an off-site thumbnail counts as an inline image. Some of them are rather large, though. 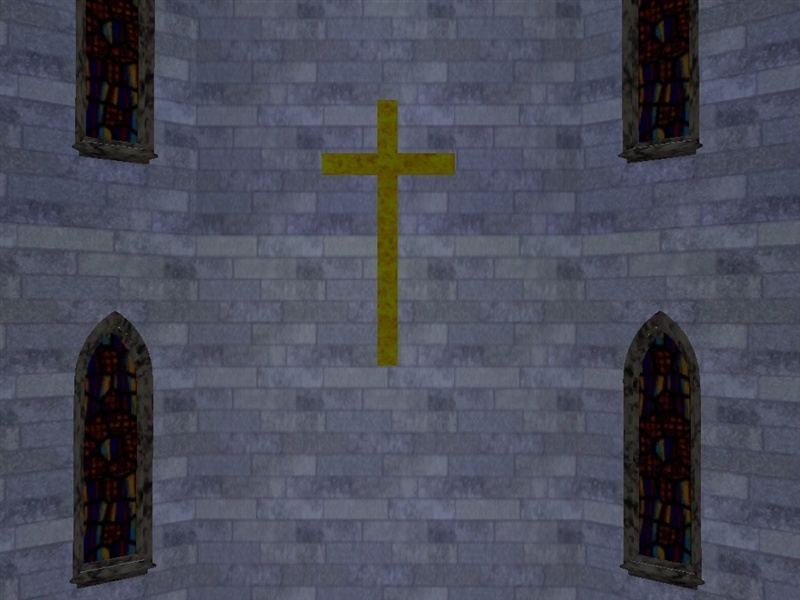 The crypt was originally built with no lights in it, because candles and torches are expensive and dead bodies don't need light. But when I was told I needed lights in there I decided that a logical reason for lights in a crypt might be that someone left candles around the grave of a recently deceased loved one. So there are a few places with candle sconces on the wall and flowers in a pot on the floor. (Although I discovered that if I put too many in I was putting candles behind a wall and casting more shadows than light. It did increase the spookiness, but it didn't help the "so we can see more details" that I was supposed to be working on.) It's up to you whether or not to remove the candles and flowers. 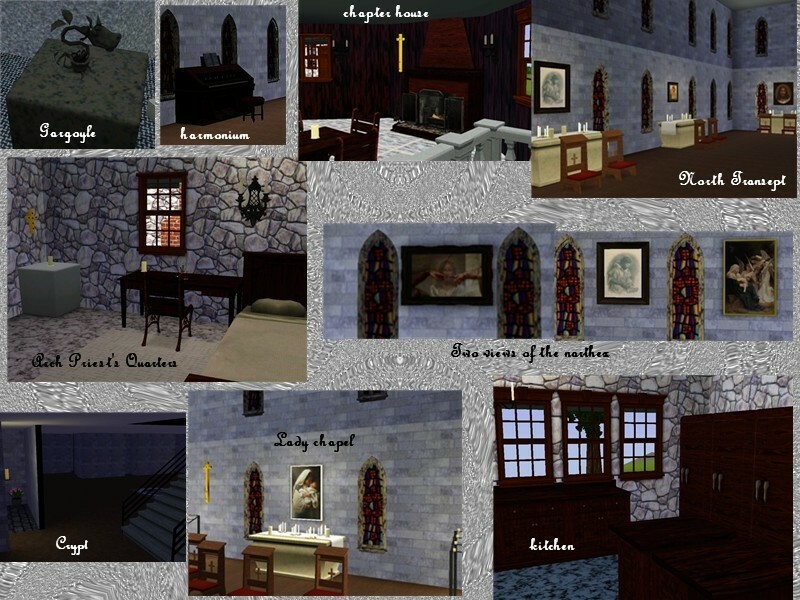 The altar, bench, bible, prayer stool, candle holder, candles, harmonium, aspersorium, chalice, paten, holy oils, end table, stool, font, lectern, louvres,long stained glass window, round stained glass window, and baptismal font were from Around The Sims 3, and can be found at http://www.aroundthesims3.com/objec...wntown_01.shtml, along with a nice church and some nice things I didn't download. Also many thanks to all the people who helped me in creator feedback, and in chat while I was struggling with that cross mesh. 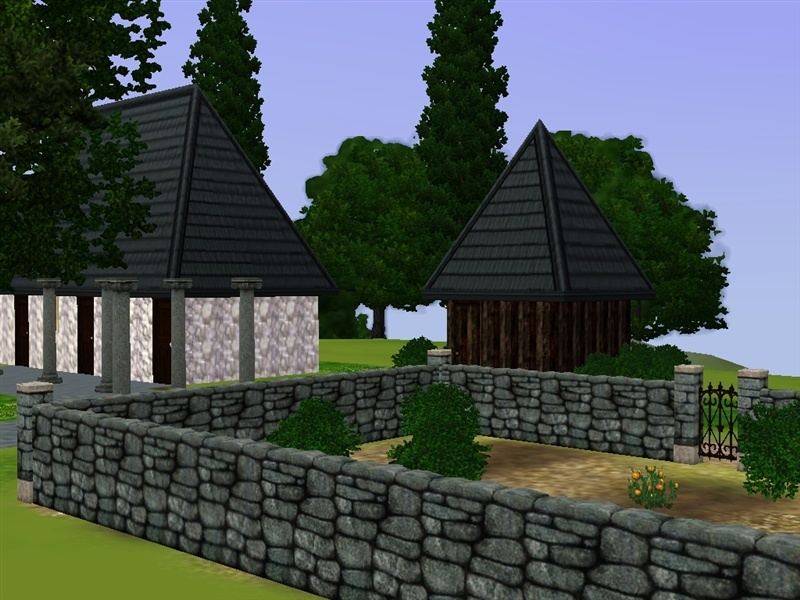 "Ye Olde Library" - No store pack(s) required!